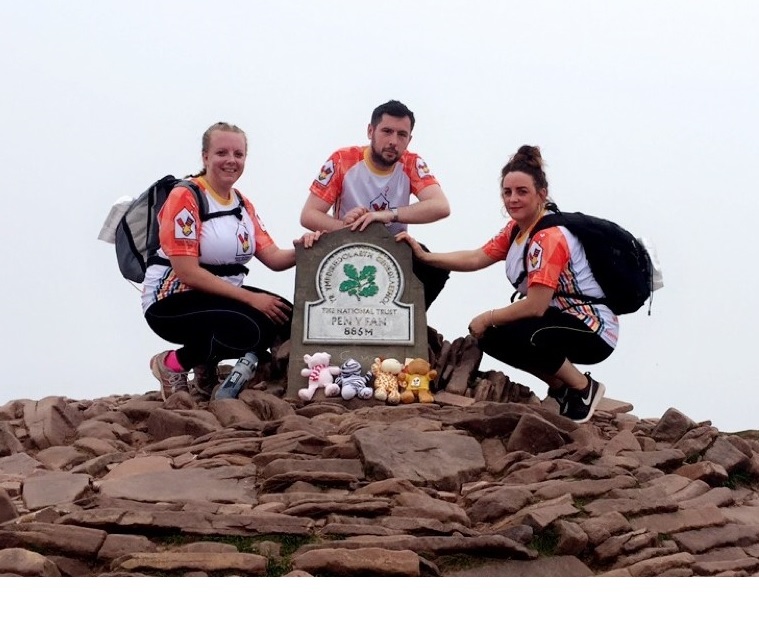 Nine brave employees from Creditsafe’s Group Service Centre in Cardiff took part in a testing 24km trek across the vast Brecon Beacons in aid of their Charity of the Year, Ronald McDonald House Charities. 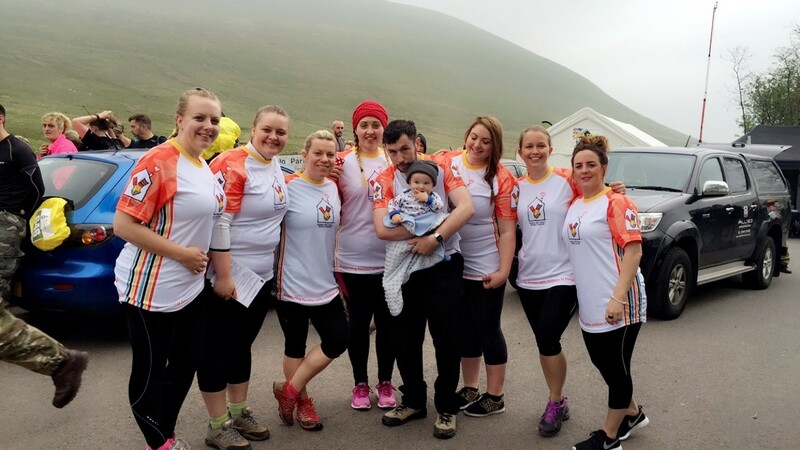 The employees embarked on the mountainous route as part of the annual ‘Fan Dance Race’ event on Saturday 4 June to raise money for the Ronald McDonald House in Cardiff, which will provide free ‘home away from home’ accommodation to families with seriously ill children being treated at the University Hospital of Wales. The company, which is the world’s most used provider of company credit reports, has already raised £3,800 for its chosen charity and this is just the first of a string of corporate fundraising activities organised for the year. The money raised will go towards the first Ronald McDonald House in Wales which is expected to be completed in late 2017. The House will have 30 en-suite bedrooms, as well as kitchens, lounges, playroom areas and laundry facilities, where families can stay free of charge for as long as their child is in hospital. Two employees who helped organise the fundraiser, Pippa and Owen, nominated Ronald McDonald House Charities as Creditsafe’s Charity of the Year after independently staying at the Southampton and Birmingham Houses whilst their children were undergoing treatment. The independent Charity has a total of 14 Houses across the UK. Pippa Newbury, International Relations Manager at Creditsafe, completed the challenge and is extremely grateful for the Charity after she and her partner were given a room at Ronald McDonald House Birmingham for two weeks after their son Parker was born with a third lung. Her colleague Owen also successfully crossed the finish line but not without difficulty. He endured a knee injury at 23km and is now on crutches, but managed to persevere in an admirable show of determination thanks to the adrenaline. Owen stayed at Ronald McDonald House Southampton when his son Barney was admitted to intensive care after suffering complications in the womb. “The Birmingham House was invaluable when our son was at Birmingham Children’s Hospital and it will be great for parents in Cardiff to have the same support. Birmingham is over a two-hour drive away and paying for a hotel for two weeks would have been financially strenuous. As well as being close by to our son, we had facilities to cook in the communal areas, meet other parents, and have the support of the staff which helped us through a really difficult time. 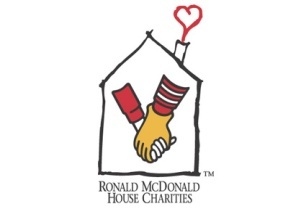 For more information on Ronald McDonald House Charities, visit www.rmhc.org.uk or to donate to the Just Giving page, visit www.justgiving.com/fundraising/CreditsafeRMHC.